Psychic Gary Spivey returns to Tahiti Village for another popular Enlightenment Seminar. Gary Spivey will bring his uncanny psychic ability and crowd-pleasing hair to Tahiti Village this Sunday, Sept. 22. Gary’s Enlightenment Seminar draws huge crowds wherever he appears. Gary is renowned for predicting future catastrophic events and has been dubbed a “modern day Nostradamus.” Over the course of his seven-hour seminar (10 a.m. to 5 p.m.) inside Skyview 510, Gary will show you how to manifest your dreams and desires, heal yourself and others of illness, and see, hear and talk to God. Visit garyspivey.com for more information, including ticket prices (you won’t believe the generous internet discount). If addictive demons such as smoking are preventing you from achieving your full potential, you can’t afford to miss Gary’s Enlightenment Seminar at our Somerpointe Resorts sister property Tahiti Village. 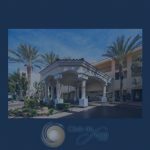 It is just five miles from Club de Soleil, at 7200 Las Vegas Boulevard South.